Smith tends to ask research questions that blur disciplinary lines; many of the questions she poses can only be answered by considering bodies of literature, theoretical frameworks, and methodological strategies found in Sociology, Political Science, Psychology and Public Policy. Her research interests focus on American political behavior and racial and ethnic Politics. Here, she focuses on individuals’ and groups’ policy preferences, particularly around social policies that exacerbate or ameliorate disparities and inequality between groups. Smith also has courtesy appointments in the Department of African, African American & Diaspora Studies and Department of Political Science. Candis Watts Smith quoted in Eugene Scott, "Despite White House Denial, Some Find Trump’s Comments about Black Immigrants Believable" Washington Post, December 23, 2017. "Black Immigrants in the US Face Big Challenges: Washington Post's Monkey Cage Blog," Candis Watts Smith, Monkey Cage Blog, Washington Post, September 18, 2017. "‘Contraception Deserts’ are What You Get When You Cut off this little-known federal Program," Candis Watts Smith (with Rebecca Kreitzer), Monkey Cage Blog, Washington Post, September 26, 2016. Guest to discuss What is Race? on Black Issues Forum on UNC TV, Candis Watts Smith (with Mark Anthony Neal and Samone Oates-Bullock), July 3, 2016. "Immigration, Ethnicity, & Black Political Futures," Candis Watts Smith, The Black Scholar, April 14, 2016. 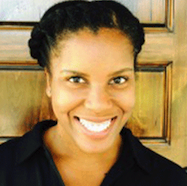 Guest to discuss her book on New Books in Political Science Podcast, Candis Watts Smith, November 18, 2014. "Younger Blacks are Less Likely to Suggest that Discrimination Explains Racial Disparities, Tending to Ascribe Them to Blacks’ Lack of Will to “Pull up Their Bootstraps," Candis Watts Smith, London School of Economics US Policy Blog, July 23, 2014. "Racial Stasis: The Millennial Generation and the Stagnation of Racial Attitudes in American Politics," (with Christopher DeSante), under review. "The New Principle-Policy Gap: How Diversity Ideology Subverts Diversity Initiatives" (with Sarah Mayorga-Gallo). Sociological Perspectives 60, no. 5 (2017): 889-911. Argues that even though we see a greater appreciation for the presence of nonwhite bodies in various spaces, we are not likely to see real systemic change in the American racial hierarchy because of a reliance on diversity ideology. Through an analysis of semistructured interviews with 43 white Millennials, this article outlines the ways in which diversity ideology’s four tenets—diversity as acceptance, commodity, intent, and liability—help whites maintain power in multiracial spaces. "Straddling Identities: Identity Cross-Pressures on Black Immigrants’ Policy Preferences" (with Jurée Capers). Politics, Groups and Identities 4, no. 3 (2016): 393-424. Suggests that it is becoming increasingly important to examine the centrality of other identities in Black political behavior as the ethnic diversity among Blacks increases with large influxes of African, Afro-Latino, and Afro-Caribbean immigrants. Black Mosaic: The Politics of Pan-Ethnic Diversity (New York University Press, 2014). Explores the effects of dynamic demographic change on Black politics. "Ethnicity and the Role of Group Consciousness: A Comparison between African Americans and Black Immigrants" Politics, Groups, and Identities 1, no. 2 (2013): 199-220. Examines the role of context on the mobilization of politicized racial group consciousness among African Americans and Black immigrants. "Intergroup Relations in Three Southern Cities" (with Paula D. McClain, Gerald F. Lackey, Efren O. Perez, Niambi M. Carter, Jessica Johnson Carew, Eugene Walton Jr., Monique L. Lyle, and Shayla C. Nunnally), in Just Neighbors? : Reason on African American and Latino Relations in the United States, edited by Edward Telles, Mark Sawyer, and Gaspar Rivera-Salgado (Russel Sage Foundation, 2011). Provides a glimpse at the context in which racial intergroup relations will be developed in three southern locations that represent three distinct southern environments: majority black (Memphis, Tennessee), more or less equal black and white populations (Durham, North Carolina), and minority black (Little Rock, Arkansas).